Penpals Nikolaev is all about education and information. Billgreen54 and his wife Larisa have been helping others since 2007. They live in Nikolaev Ukraine. While Bill writes daily and consults with visitors, Larisa manages her language school. Larisa English Ukraine began as a way to help others. Ukrainians benefit from Larisa English language school daily. The about PenPals Nikolaev page is full of company information. PenPals Nikolaev is a division of Larisa English Ukraine. PenPals offers services and consultations. Services include gift delivery, background checks, translation services and more. About PenPals Nikolaev is the company information page. 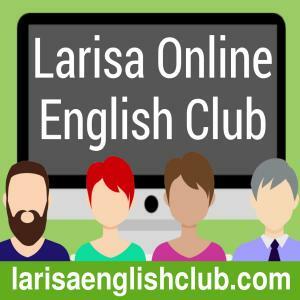 Where is Larisa School of English? Larisa English Ukraine LLC is a corporation with strong community ties and affiliations. Larisa English Ukraine sponsors events for the Nikolaev community. Facilities are used both for teaching English, Russian, Ukrainian and German languages as well as other instructional seminars. Free English lessons are provided by the generous donations through their scholarship program. Bill and Larisa sponsor scholarships as well. Many students throughout the years have benefited from the generous efforts of staff and teachers at Larisa English Ukraine LLC. About PenPals Nikolaev page contains business information. PenPals Nikolaev is dedicated to honest business practices and education through experience and knowledge of a staff of five. Management is always prepared to assist visitors with information services regarding visa’s, housing, employment opportunities, travel variants, banking, insurance, healthcare and more. All services are provided on a paid for basis. PenPals is a for profit enterprise and invests in the local community as well.